Washim �pronunciation�(Marathi: वाशिम) is a city and a municipal council in Washim district in the Indian state of Maharashtra. Washim is the district headquarters of Washim district. 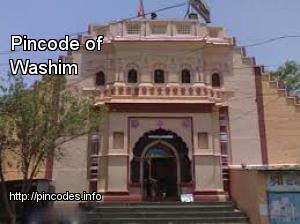 Washim was known earlier as Vatsagulma and it was the seat of power of the Vakataka dynasty. Sarvasena the Second son of Pravarsena I was the founder of Vatsagulma Or Washim of today. His fourth generation son Harishena was one of the main patrons of the Ajanta Caves World Heritage Site. The house of Vakataka & their last generations supported Buddhism and supported all Buddhist arts.